SWINDLE billboard brings attention to what is really happening further down the road heading east on I 84 in the Columbia Gorge between Oregon and Washington. 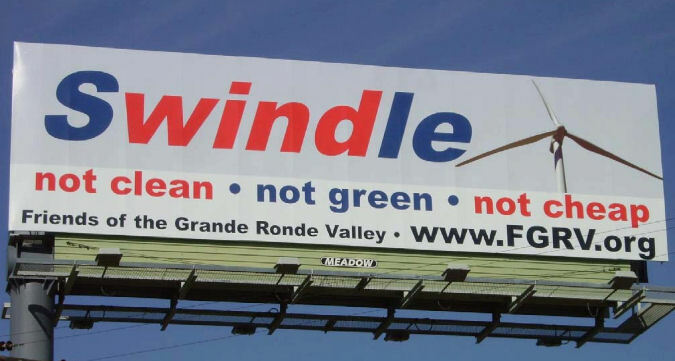 Thanks to National Wind Watch’s graphic page we found the idea for this SWINDLE billboard that originated from another indiviual fighting wind turbines. Then our “FGRV Capitol Ladies” while driving to the Oregon State Capitol saw an empty billboard on the Columbia River Gorge where hundreds of wind industrial complexes are sprouting up like weeds. 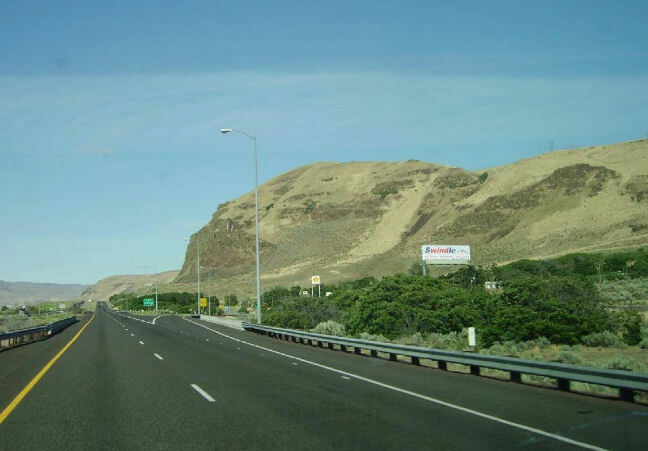 The billboard idea and Columbia Gorge locale were presented to the FGRV membership 4 days later and the money was raised within 2 days for this SWINDLE billboard to be an eye opener for the next 6 months. FYI: The FGRV Captiol Ladies spent a June day in Salem, Oregon delivering to each legislator’s office packages of homemade chocolate fudge wrapped in gingham with an FGRV business card attached. This was their day of lobbying legislators to stop subsidizing the wind industry, to encourage rule changes, and to increase safeguards for communities. Our FGRV Capitol Ladies will continue their lobbying and educating the legislators with more treks to Salem.